Is Israel still considered the 'start-up nation'? Europe's innovation chief speaks out on Israel's role in global innovation. 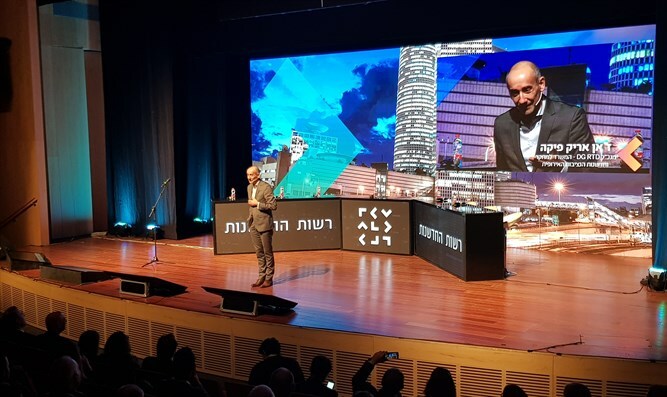 Hundreds of business leaders, entrepreneurs, investors, government officials, and tech experts gathered at the Tel Aviv Museum Sunday for a special conference hosted by the Israel Innovation Authority. Titled “From Startup Nation to Smartup Nation”, the confab focused on the future of innovation in advanced countries, and how the tech sector can move beyond the basic start-up model to a more developed system promoting greater interaction between industry and innovators. Among the foreign delegates participating in the conference was Jean-Eric Paquet, the Director-General of the European Union’s commission for research and innovation. Paquet noted his family ties to the Jewish people, pointing out that his grandfather had been recognized by Israel as one of the "Righteous Among the Nations" for his role in rescuing Jews during the Holocaust. Speaking with Arutz Sheva, Paquet said that a decade after the book Start-up Nation brought attention to Israel’s status as the leader in start-up companies, with the most hi-tech startups per capita in the world, Israel is still viewed globally as an innovation powerhouse. Is Israel still considered the Start-up Nation?